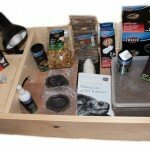 2 What should you do if your Horsefield Tortoise isn’t eating like he normally does? 4 What should you do if your Horsefield Tortoise has any bladder stones? Their urine looks like a paste like/ whitish chalk, many for the first time wonder if there is something wrong but this is their normal urine. It is this way for them to conserve water and this appearance means your pet has a good hydration level. Dehydration will result in serious consequences so soak your pet in water at least once a week to make sure he is well hydrated. Horsefield Tortoises aren’t high maintenance pets in numerous ways. 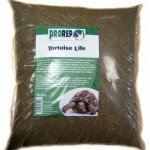 The pet owner just needs to make sure that their pet Horsefield Tortoise diet is suitable and well-balanced enough to keep the tortoise in optimal health from a day to day basis. Horesfield Tortoises do have certain dietary needs and a good number of problems can arise if this diet is not met properly. Too rapid or slow growth is just one of the many ills that they can face. The very same can be said shell deformities amid other things. 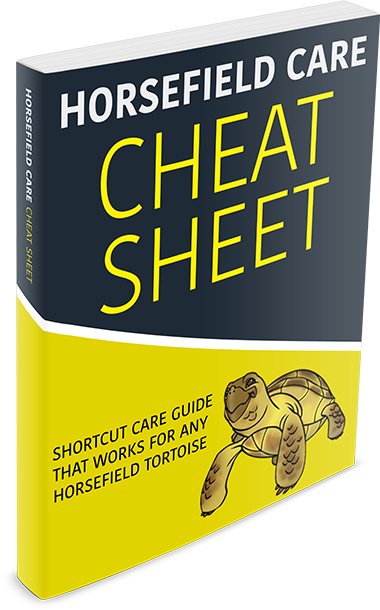 What should you do if your Horsefield Tortoise isn’t eating like he normally does? When your tortoise will not eat it is usually from the temperature being too cold. If inside housing, raise to the correct temperatures. If outdoors, bring inside and provide correct temperature levels. This should straighten out the problem. If your Horsefield Tortoise is not eating right, it is probably, because it isn’t being fed the right things to eat. The right things to eat that make up the majority of the Horsefield Tortoise diet should consist of weeds and of flowers that aren’t non-toxic in description. Horsefield Tortoises do need to have a diet that is high in fiber, calcium-rich, and a diet that is low fat. 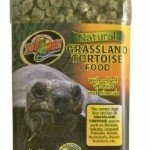 Variety is the key to providing your tortoise with a well-balanced diet and the pet interested in the food that you are serving to it regularly. Vegetables given to a Horsefield Tortoise should only be organic and very fresh. The dos to feed your Horsefield do include dandelion leaves and flowers, dry hay, grasses, bramble, chick weed, watercress, mustard, sunflower, barley, turnip, carrot, and cabbage for an example of some good foods. Don’t feed your Horsefield any of the following things. They include iceberg lettuce, bananas, cucumbers, tomatoes, and spinach. These foods aren’t nutritional and they are low in calcium. If he is eating an adequate amount of food but seems like he’s not eating at all and low energy it is from the temperature being too warm. The food is being processed to fast and is not being completely digested. What should you do if your Horsefield Tortoise has any bladder stones? Bladder stones can be caused from dehydration and a diet too high in protein. When this happens the bladder will reabsorb urinary water. This will then form a bladder stone. Hopefully the tortoise can have the bladder stone exit through its intestine. If not, the bladder stone will lead to a ensuing death. Watching the protein intake and providing a water dish the entire time can easily prevent all this. Make sure to regularly clean out the water dish and soak your pet in a separate water source once a week for hydration and urination. Seek medical attention through a veterinarian if the bladder stone does not pass as it is life threatening for your pet. The presence of bladder stones is something that is very common in about 10% of all tortoise species. What causes bladder stones in tortoises can be caused by a number of different things. Two of the most common of all things are dehydration and improper diet. Horsefield Tortoises are vegetarians. This means that their diet should only consist of protein, carbohydrates, and fats. The dietary protein should be of plant origin only and never of any animal origin. If a Horsefield Tortoise gets dehydrated, its waste matter or feces called urates, is something that can crystallize within the urinary system and cause bladder stones. Bladder stones is something that must be treated in the tortoise. If this is left untreated, it can kill the Hornfield Tortoise, and if the bladder stones are caught early on. They can be removed from the Horsefield Tortoise without it doing any harm to the pet tortoise. If your Horsefield Tortoise is suffering with bladder stones. Please do get the pet tortoise to a veterinarian as soon as possible. Because it can indeed become a life threatening thing for animal.